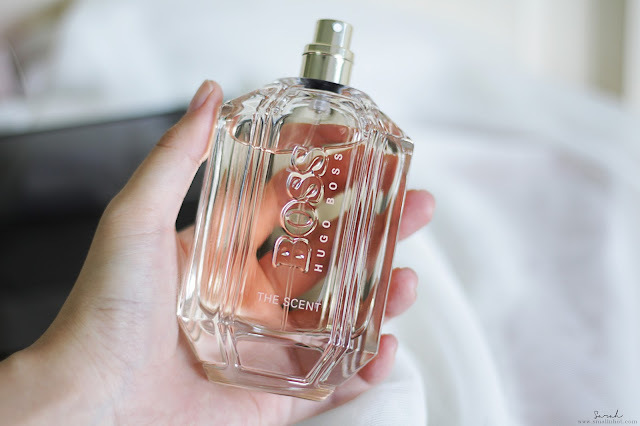 'BOSS The Scent for Her' Eau de Parfum - Worth The Ride ? This BOSS The Scent for Her has been lining up beautifully on my perfume cabinet for the last few weeks , alongside with some of my staples like Shiseido Ever Bloom, diptyque Florabellio and Gucci Guilty for Her and was long over due for a test drive, Although it has only been a week, I think it's time to check in and let you guys know whether it's worth the ride..! The irresistible BOSS Eau de Parfum for women is arousing with its seductive blend of honey-sweet peach, delicate freesia and roasted cocoa beans, with a final sensuous note of bewitching osmanthus blossom. The exquisite Eau de Parfum combines feminine elegance, warmth and grace to create an unforgettable fragrance. 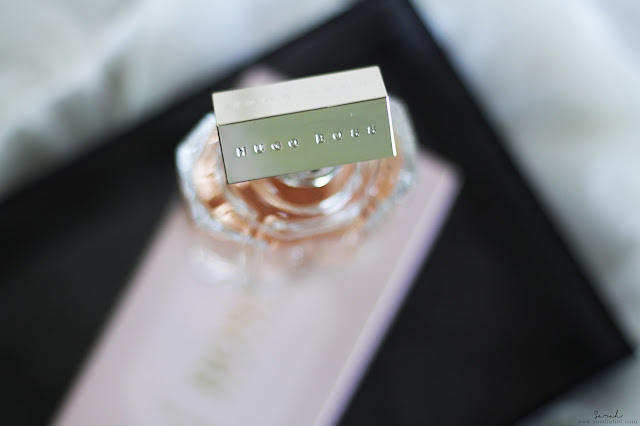 You'll LIKE it if a soft yet statement and feminine fragrance is your everyday go-to kind of parfum. You'll HATE it if you enjoy parfum with strong musky and woody note. 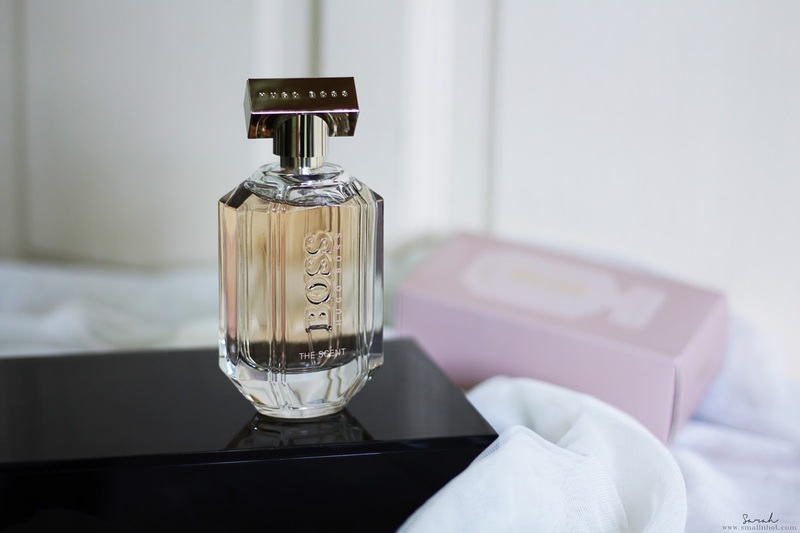 Cased in a tall rectangle bottle, BOSS The Scent for Her is a soft yet statement and deep fragrance. Sounds confusing doesn't it ? Well, when you first spray it on, there's a strong and overpowering sweet candie haze which I am guessing is from the blend of honey-sweet peach. However when it dries down it turns into something different; something a little less sweet, slightly refreshing and fruity, completely different to anything else I own. The change of scent gives a little more sophistication to the fragrance. It's a very gradual and subtle change, people tend to notice it more on me rather than I do myself. I personally do not fancy the beginning scent but then as it dries off, I really do enjoy the subtle peach fruity sweetness on my clothes, such a dilemma. I think for a spring/summer scent, this ticks all the right boxes. A blend of bold, sweet and fruitiness that would be uplifting to the spring/summer mood. The final verdict ? It may not have the 'sensuous arousing' effect on me, but it's a grower and one that when it's sprayed, it will lock on for days. I have the 100ml which is RM 493 from the counter, but there are more wallet-friendly option and smaller size version available for you to try. I would say it makes a lovely Valentine's Day present, if your bae loves a sweet and fruity fragrance.